Give this new product a try! 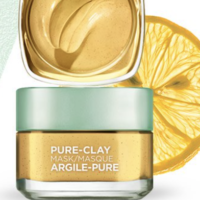 Go request a FREE Sample of L’Oreal Paris Pure-Clay Mask! Simply go here, log in and fill out the short form to score this freebie. Note that you may uncheck the email box. Allow 6 to 8 weeks for delivery!